Postgraduate funding is woeful – why aren’t we talking about it? According to Jo Johnson, students needing to bridge the gap between income and living costs have plenty of options. “They can work […] they can also save, and then, of course, they can borrow from their parents.” Because (of course!) financial contributions from parents are an option for everyone, and working an exhausting number of hours on top of completing one’s academic studies is the solution to any financial issues a student may have. These comments were made in 2017, when Johnson was minister of universities. If anything highlights the Conservatives’ ignorance of the real-life financial issues facing students, it is this. But beyond how blatantly incorrect they are, what troubles me about these comments is the lack of distinction between undergraduate and postgraduate funding. While, at the very least, the financial pressures facing undergraduate students are recognised in public discourse, postgrads are largely expected to fend for themselves, a fact which receives little recognition. Yes, the government has introduced a postgraduate master’s loan to help level out this playing-field which (naturally) favours the privileged, but it is significantly flawed. Take, for instance, the fact that unbelievably, the size of the loan is the same regardless of whether you are studying for one year or four, with the money split between each year. And the loan isn’t even means-tested, despite family income being crucial to the amount of external support students receive. Inevitably, students will have to top up their loan with personal funding, which just isn’t possible for some people. George Osborne’s claim that the loan would “revolutionise” access to postgraduate study seems nothing less than ridiculous. That is not to overlook the opportunities enabled by the current postgraduate loan for widening participation: since its introduction for the 2016-17 academic year, there has been an increase in enrolments to postgraduate courses, following a decline up until the 2015-16 intake. This paints a more hopeful picture for the future and proves the importance of financial support in increasing the accessibility of such courses. But increased enrolment could also mean a higher number of students facing more pressure to meet living expenses, without sufficient financial support. This inaccessibility is very relevant in Cambridge: the CUSU Big Cambridge Survey for 2016/7 found that postgraduates reported more financial difficulties than their undergraduate counterparts. Furthermore, as opposed to 38% of undergrads, 49% of research postgrads and 56% of taught postgrad students said that their financial situation has negatively impacted their time at Cambridge. For money to have had such an impact on almost half of research postgrads and more taught postgrads than not, there is clearly a huge problem with the financial accessibility of postgraduate study. And this is considering those who have applied and been accepted to their chosen courses in the first place: such pressures cut off masses of talented graduate students even before the application stage. Many will argue that funding is rightly focused on enabling higher education participation for would-be undergraduates, but this is arguably no longer as important for the career market. With the Bachelor’s degree becoming the new norm, postgraduate study is becoming a major factor of differentiation for job seekers. Many people are being shut off from top careers solely because the financial pressures involved in such courses are too great. Rather than acting as a force for change, the Master’s degree falls prey to the inequalities of our education system and continues to solidify privilege’s number one status within it. This is encapsulated by the Sutton Trust’s recognition of the “postgraduate premium”, offered to those who can afford its expensive upfront costs: those with a Master’s degree can, on average, expect to earn £200,000 more than someone in possession of a Bachelor’s degree over a work life spanning 40 years. Without better funding arrangements, this will continue to be a premium enjoyed only by a privileged few. 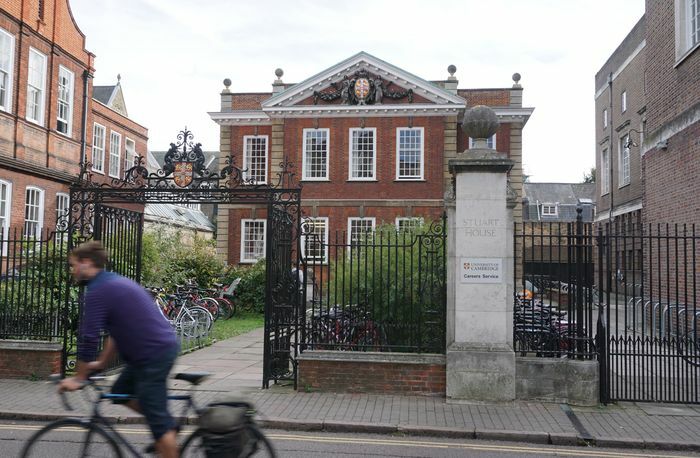 Too few Cambridge graduates opt for charitable careers. Increase salaries and this will change. At best, the postgraduate loan is a stepping-stone to truly changing the inequalities within our education system and career market. A higher, means-tested loan, together with the centralisation of grants to mean that help is not dependent on which university people attend, would go a long way to improve the accessibility of postgraduate study. Postgraduate degrees should not remain the turf of the middle and upper-classes, and our education system cannot keep circling back around to the same issue of privilege.